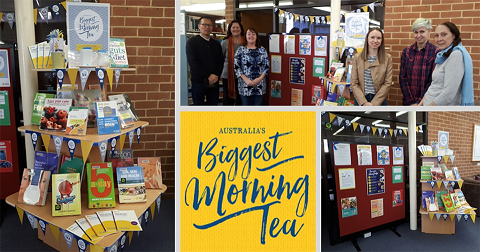 TAFE NSW Libraries in the Hunter hosted the Biggest Morning Tea to help raise funds for Cancer Council Australia. This was the best year yet! 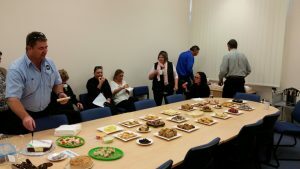 We raised over $1000 for the Cancer Council! 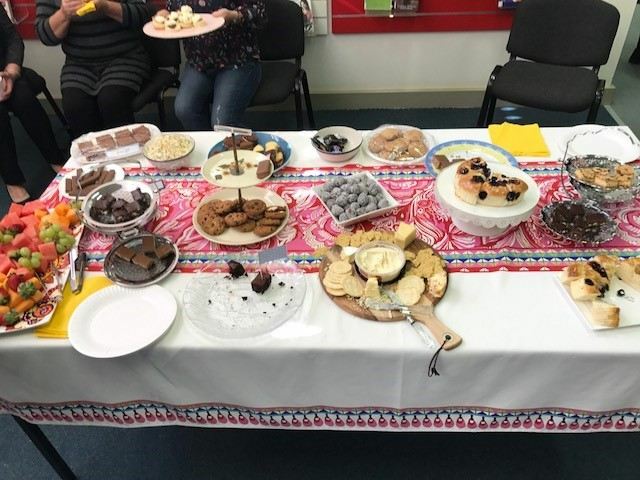 It was a great day at Belmont Library with many generous people donating plates of food, entering competitions, playing games and having fun. We had the tea bag guessing competition, toss the coin into the tea pot, the tea cup guessing competition and a raffle. But the best thing on the day, besides the smiles, was knowing we were helping a great cause!! Wyong Certificate III Library and Information Services students promoted the event at Wyong TAFE Library as a class assessment with a library display, posters, bookmarks and a PowerPoint presentation used on the day. 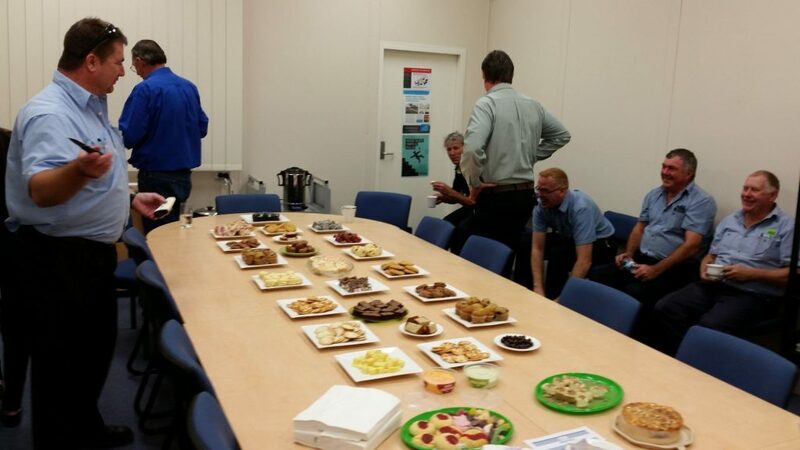 Plenty of food was enjoyed, including fruit kindly donated by George’s Fruit Barn, Terrigal. 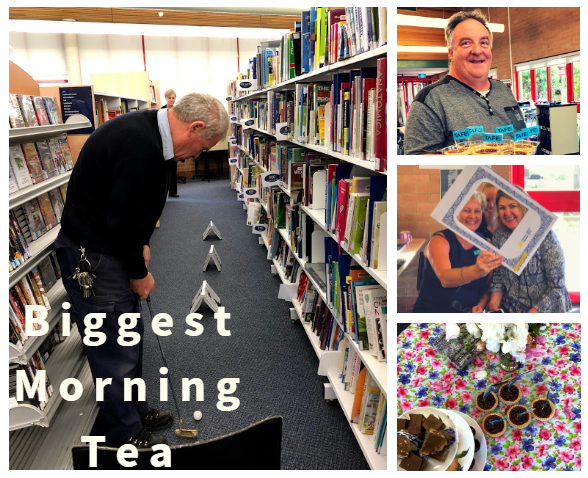 A raffle to guess which cup contained the tea was won by Library Manager Joanne O’Farrell who generously donated her prize money to the Cancer Council! 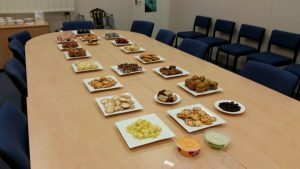 Cessnock Campus hosted a belated Biggest Morning Tea on Thursday 31st May. You might recognise library staff in disguise! 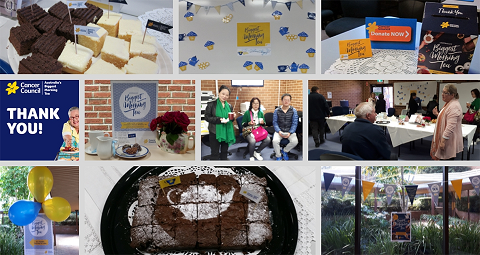 Students and staff came together enjoying delicious home cooking including toasted banana bread and home made caramel tarts which were very popular on a cold morning. 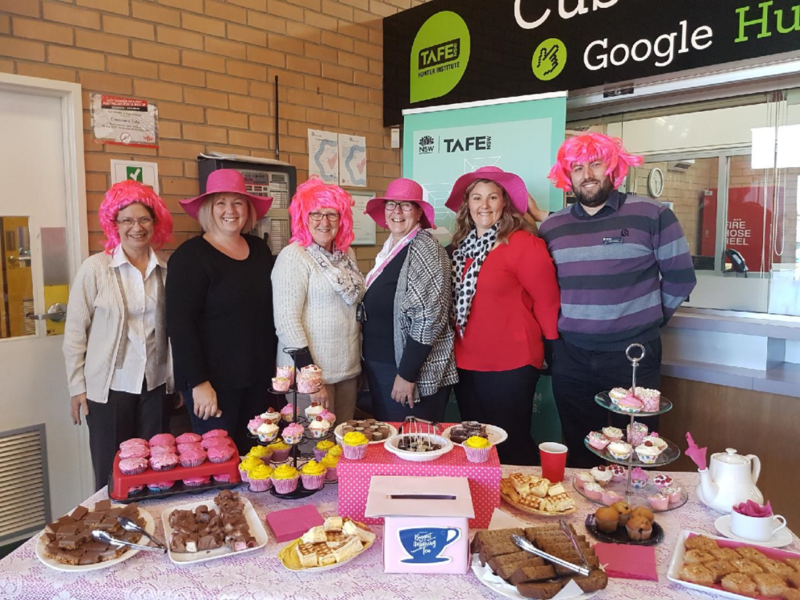 Cessnock raised over $100, a great effort for a small campus community! 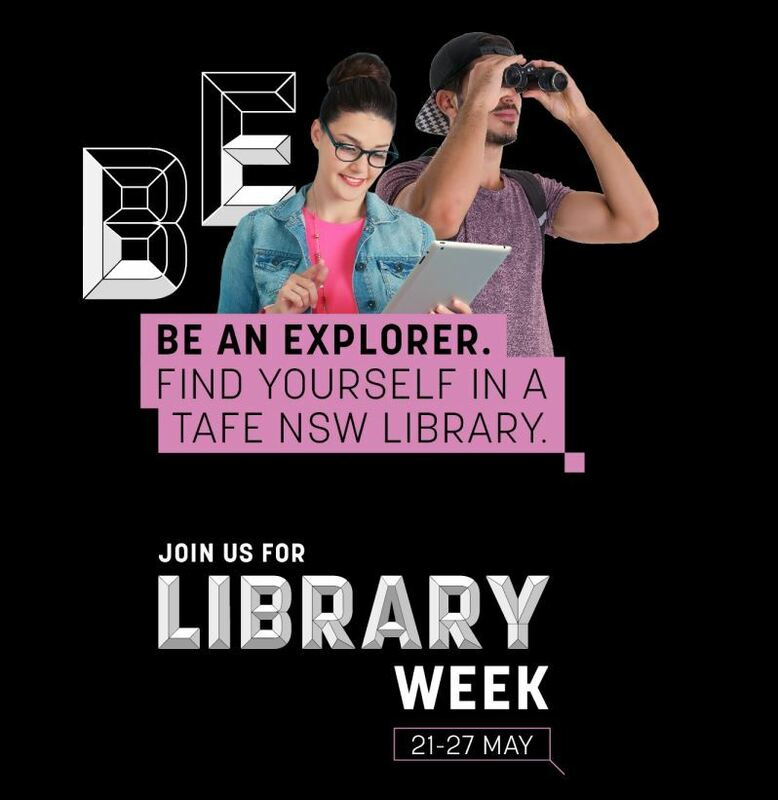 Libraries play an important role for supporting community events and hope to be a useful commodity in the future. Thank you to everyone who participated! 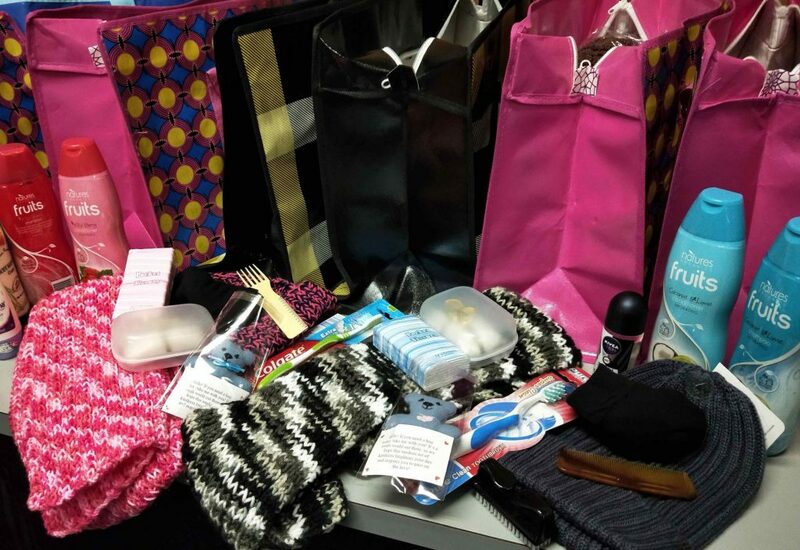 Many thanks to the staff & students at Hamilton Campus who supported our Easter Competition and who made donations, knitted, sewed and purchased items for our 2018 Homeless Project. Compass Housing have collected 20 care packages to distribute!